Wide format system versatile enough to be used for routine preparatory and high throughput techniques. Suitable for RFLP analysis,southern and northern blotting applications and DNR library and PCR fragment analyses. Multi Sub Maxi Primarily designed for resolution of high numbers of samples such as from Cloning or PCR. Allows ultra high-resolution separations over extended runs. Tray sizes correspond to standard blotter sizes allowing easy sample transfer onto a membrane for further analysis. 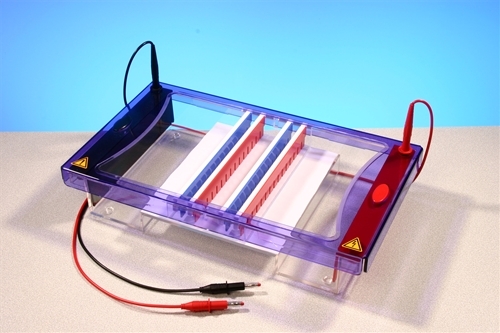 There are two tray sizes – 20 x 20cm and a half-length 20 x 10cm - with multi-channel pipette compatible combs up to 40 sample allow rapid loading of up to 360 samples per gel.